First, pulling a card a day sometimes gets hairy, ahem, in our household. With two indoor kitties and three dogs, sometimes just getting to the decks without tripping can be difficult. Our kitties love to play with strings, and the mat I lay card out on is a roll of sparkly burlap that sometimes sheds a string. Sweet Budge couldn’t resist helping one out this morning, and I thought I’d share some photos of his cuteness. Now, the card for today is as adorable as Budge! These three owlets are alert and at the ready – as a knave should be. 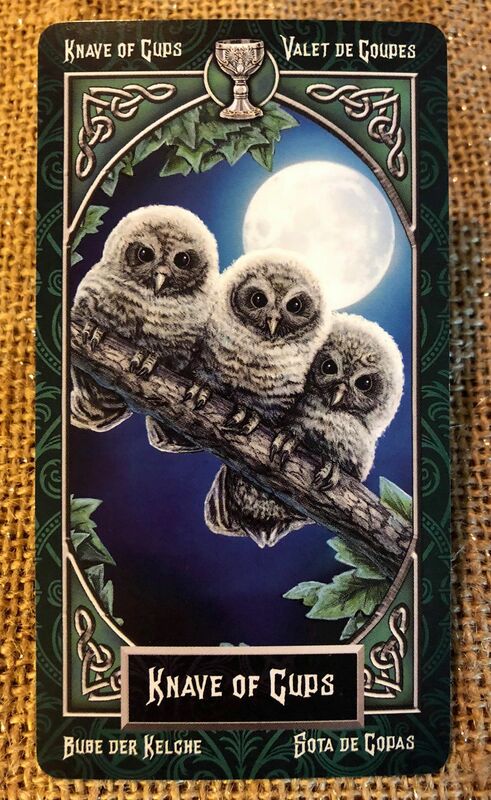 Typically, this card means reflection and being resolute, studious, loyal, and willing to offer services and efforts toward a specific goal. It could also indicate deviation, susceptibility, seduction, and a flatterer. 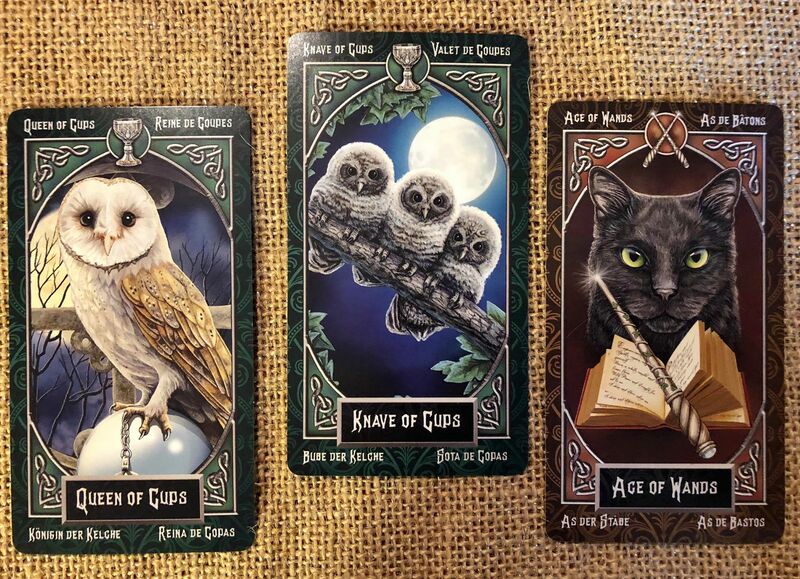 Now let’s look at the other cards today: the Queen of Cups and Ace of Wands. These suggest both a warm-hearted person and honesty with the start of something new. Taken together in a positive light, this spread says to keep your eyes open for helpers and for the beginning of something amazing. Blessings and have a wonderful day. Great. Thank you so much for your reading.